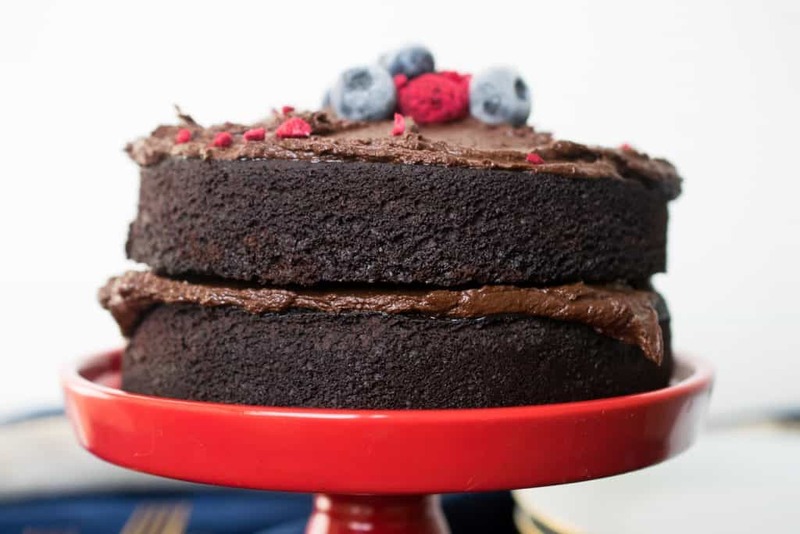 Everyone deserves a good chocolate cake recipe in their arsenal. 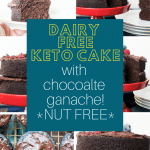 A low carb chocolate cake, even better. 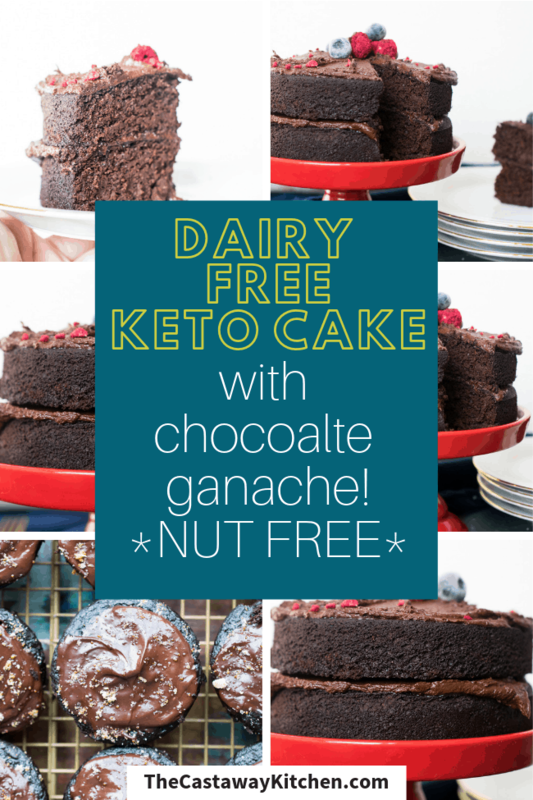 A dairy and nut free low carb chocolate cake that is moist and decadent… CAN I GET AN AMEN!?! This recipe is from my book, Made Whole, and I’m stoked to share it with you now on the blog. 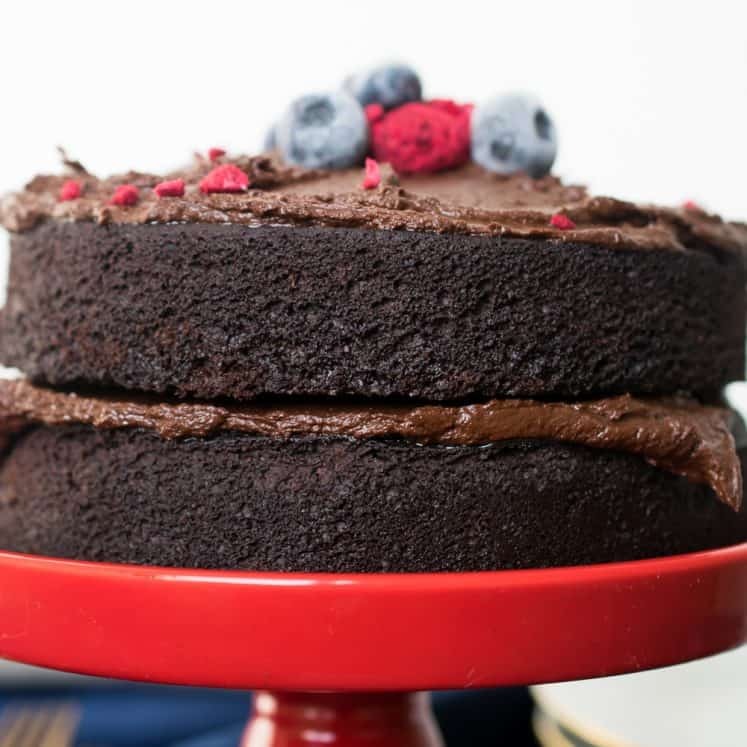 We’re nearing my 6-month book adversary and Valentine’s Day, so I think the timing is perfect to share this Low Carb Chocolate Cake with Chocolate Ganache and Berries! and get a FREE 10 DAY Low Carb Paleo Meal Plan! MADE WHOLE IS JUST $14.79 ON AMAZON RIGHT NOW. 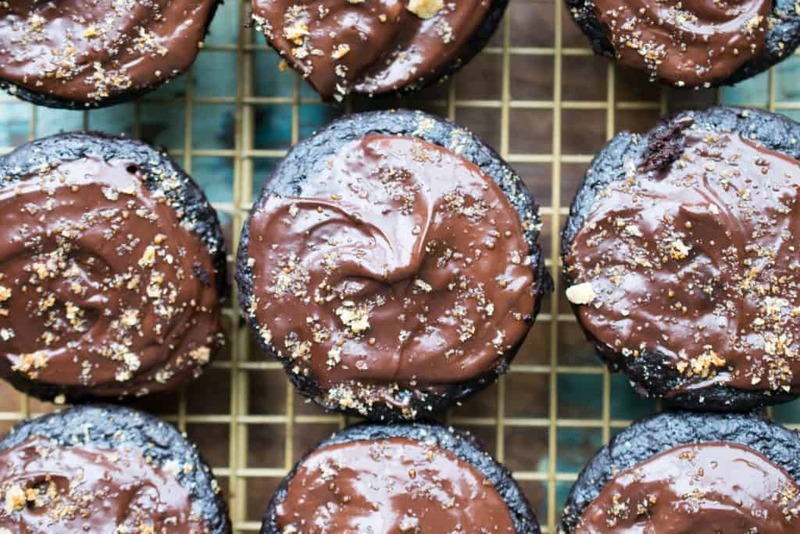 Dark Chocolate Cake (or Muffins) with Dairy Free Chocolate Ganache! 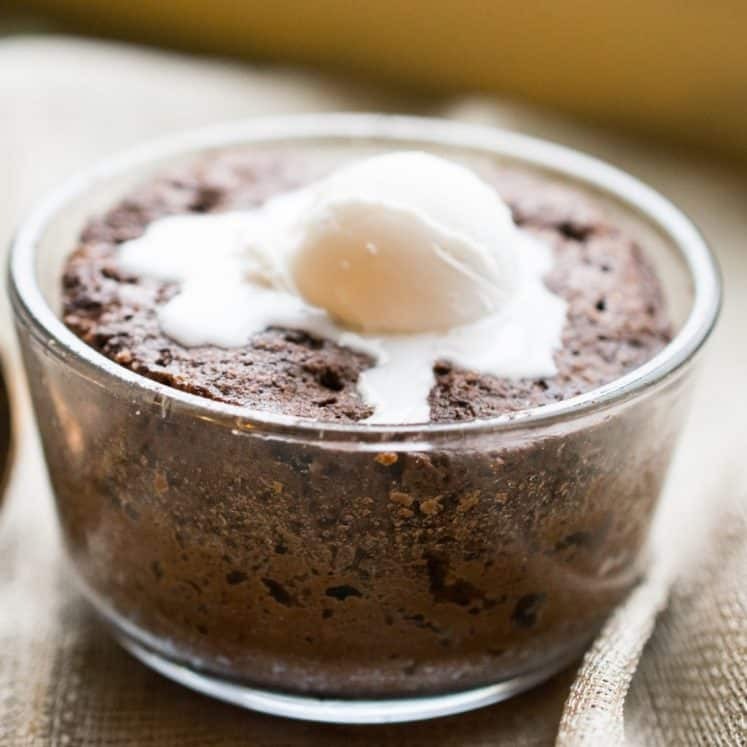 This recipe is simple and versatile. 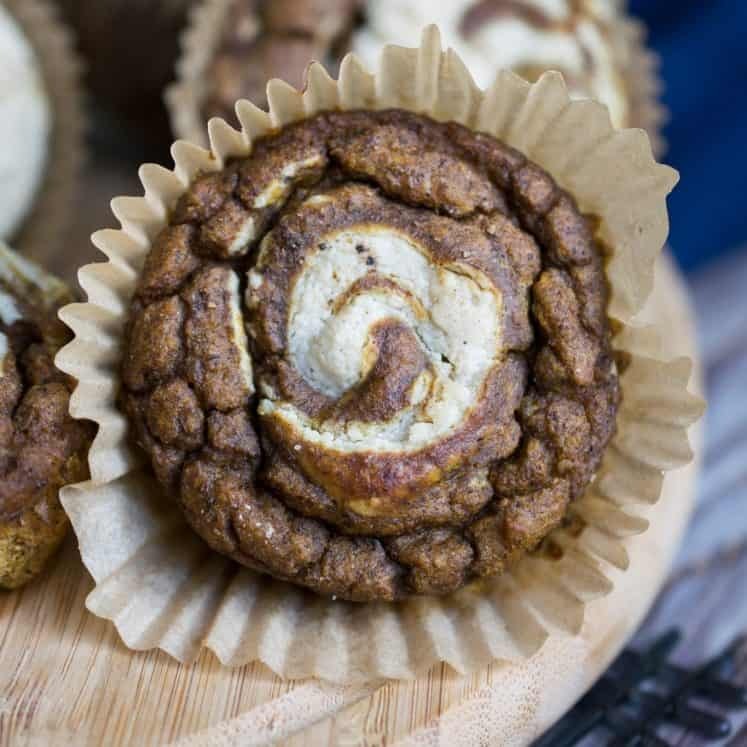 I’ve included muffin instructions as well as COCONUt FREE variations in the recipe box. I love the texture of the cake, it’s moist and a little dense while still having a good fluff from the eggs. 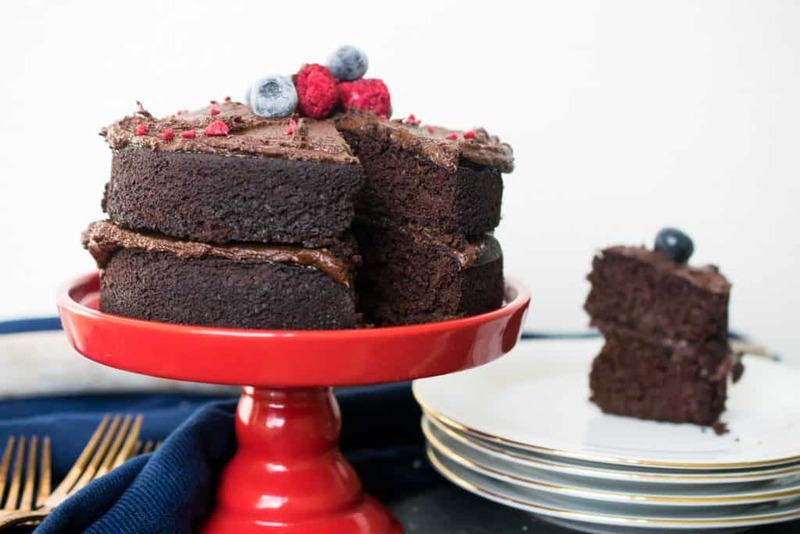 It’s a dark, deep, rich cake and the ganache is the perfect topping. 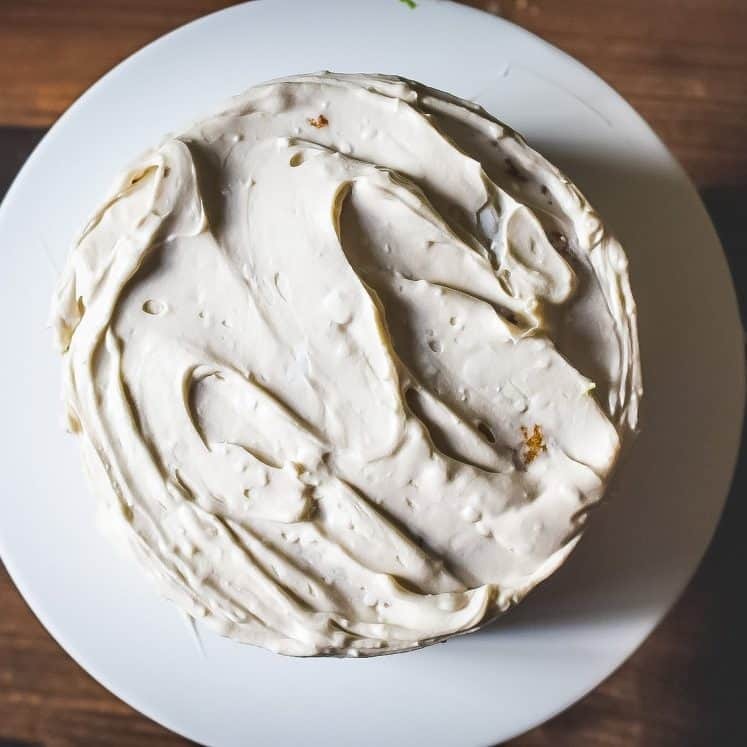 Who needs buttercream?!? 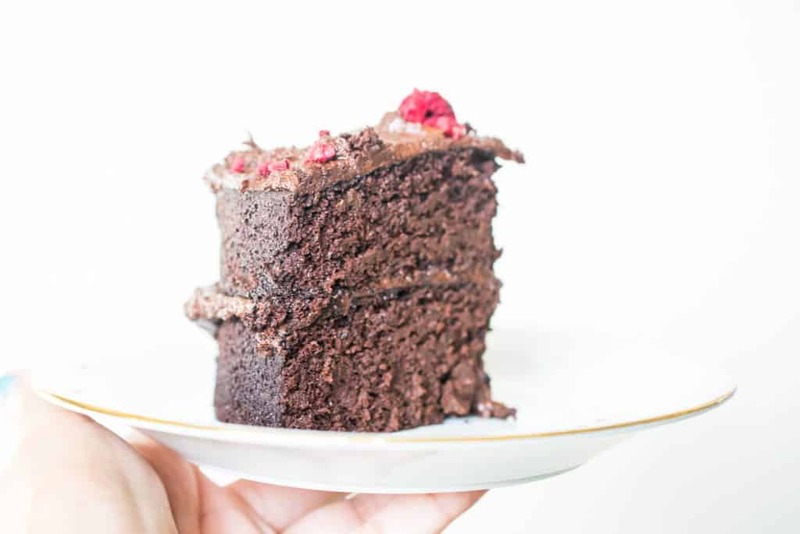 Grab your favorite chocolate and a few berries and you’re in business! This looks so good. How many muffins does it make? I can’t say for sure, it shouldn’t be thin, but cake batter is not the same as dough, so if you’re asking if it’s normal that the batter is fluid, yes. 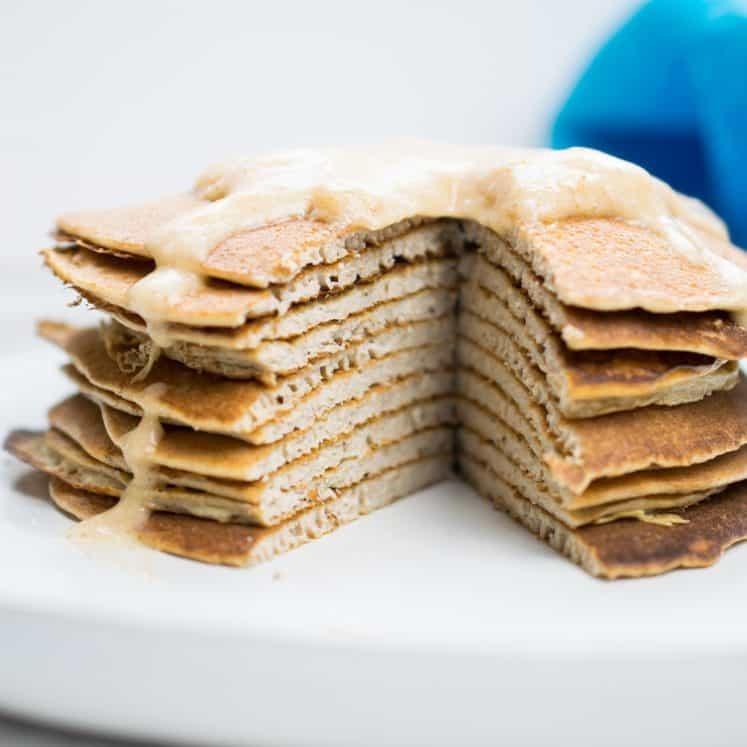 This was super easy to make and so delicious! Thanks!